One hundred and two years ago this Easter, Yeats wrote one of the world’s most famous poems, Easter 1916 after the uprising in Ireland. William Butler (WB) Yeats lived at 23 Fitzroy Road in Primrose Hill from the age of two to eight (1867 – 73). His father was John Butler Yeats, who started out conventionally enough. He trained to be a lawyer, married and had the first batch of his six children, William Butler (Willie) in 1865 and Susan Mary (Lily) in 1866. But after only a year as a barrister, he decided to give it up and move to London to become an artist. Yeats’s mother was Susan Pollexfen, who grew up in a politically conservative family of shipping and milling merchants. She longed for a life of stability and conventionality, so her husband’s abrupt career change didn’t sit well with her. She didn’t want to leave the security of her life in Ireland. John was a restless and gregarious man, and Susan hated his literary and artistic friends. He, in turn, wasn’t keen on the Pollexfen family, as they seemed to thrive on bad news. John Yeats enrolled himself in the Heatherley School of Fine Art in London, where Rossetti, Millais and Burne-Jones had studied. The rest of the family came over from Ireland to join him, and they moved into Primrose Hill on 1 July 1867. In the six years they lived here, three more children were born: Elizabeth Corbet (Lolly) in 1868, Robert Corbet (Bobbie) in 1870, and John Butler (Jack) in 1871. In those early years, the Yeats children were taught at home by their parents. Their father was present a lot of the time, and he taught them to observe, use their imaginations and tell a good story. Their mother, for her part, told them Irish folktales. After his training, John Yeats became a portrait painter. Although he got commissions, he had no business sense. As a result money was scarce, and Susan frequently had to borrow from her father. Eventually the financial worries began to affect his creativity, so he sold the house in Fitzroy Road and moved back to Ireland. On 23 July 1872, the children and their mother left Primrose Hill for the Pollexfen house in Sligo. The house had fourteen bedrooms, was surrounded by the sea and mountains, and had a garden scattered with figureheads from the family’s shipping history. But life did not improve in Ireland. Bobbie caught croup and died just before his third birthday. Another baby, Jane Grace, was born, but she died of pneumonia at less than a year old. After this, Susan sank into depression, often nodding off to sleep as she read to the children. The Yeats family moved back to London in 1887. It was like being in exile for Susan and she suffered a stroke. She spent her remaining years more remote and gloomy than ever. She died at the age of 58 and is buried in Acton Cemetery. Her four surviving children inherited the Yeats artistic temperament. Jack became a well-known Expressionist painter, described by Samuel Beckett as being “ . . . with the great of our time . . . because he brings light, as only the great dare to bring light, to the issueless predicament of existence”. He won a silver medal in the Arts and Culture section of the 1924 Paris Olympics for his painting The Liffey Swim. Lily and Lolly were involved in the Arts and Crafts movement. Lily was an embroiderer and trained as a textile artist with William Morris’s daughter, May. Lolly worked as an art teacher and wrote and illustrated Elementary Brush-Work Studies: a practical guide to teach young children how to draw flowers and plants. Lily and Lolly also helped form the Dun Emer Guild in 1902, which employed only women, and taught printing, bookbinding, weaving, rug making and embroidery. A few years later they founded the Cuala Press where they published the first editions of William’s poetry, and often supported him financially. But even though Lily and Lolly spent their entire domestic and professional lives together, they loathed one another. Death was no escape, and they were to be buried in the same grave. Lily was funny, affectionate and close to William. Lollie was talented and attractive, but seen as the sibling who had inherited the Pollexfen neurotic disposition. She and William also quarrelled throughout their lives. In 1907, Lily travelled to New York with her father. He fell in love with the country and didn’t want to leave, so Lily had to return alone. He spent his final years surrounded by like-minded artists and writers. 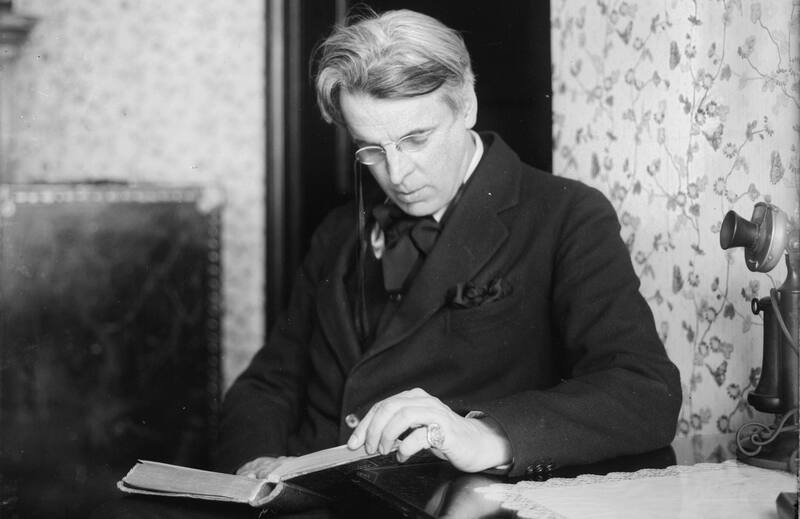 His eldest son, William Butler Yeats, one of the world’s greatest poets, was awarded the Nobel Prize for Literature. On Easter Monday 1916, a small group of Nationalists fought to gain Irish independence, but were arrested by the British army and sentenced to death by firing squad. The brutal response came as a shock to Yeats: “I had no idea that any public event could so deeply move me.” He wrote Easter 1916 in the months following the rebellion. 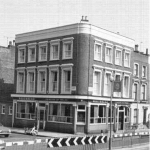 Some of you may remember that in the mid-1990s the Princess pub was briefly renamed after W.B. Yeats’s poem Wild Swans at Coole. It had a tree growing through the bar and swan door handles. 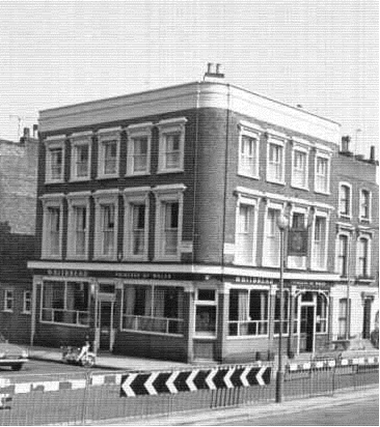 More on this at the Primrose Hill History website.